Fancy a personalised full colour sample pack sent to you absolutely free? The pack contains a few samples to give you an idea of what we can do. 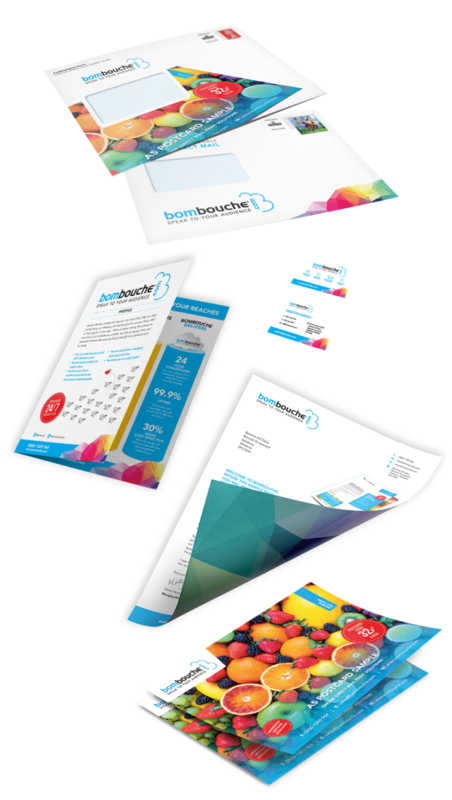 The sample pack contains postcards, business cards, samples of foiling and lamination, a printed envelope and letterhead all printed in colour on various materials. Just type in your details below and we will post it to your supplied address. If you prefer you can set up your free Bombouche account now and we’ll be in touch to arrange your first mailing.